It is very easy to download Spotify music for offline listening with Spotify premium. All you need to do is switch on Download on a playlist you want to listen to offline. You can download up to 3,333 songs per device, on a maximum of 3 different devices. However, Spotify free users are not allowed to download Spotify music for offline listening. Is there any Spotify downloader that can download Spotify music with Spotify free account? The answer is yes. Here we will introduce you 2 tools for you to download Spotify music to mp3 with either free or premium account. 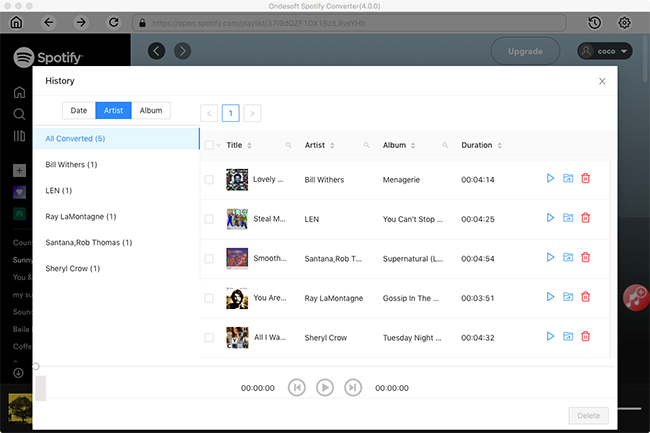 Spotify Deezer Music Downloader is a Google Chrome extension that allows you to download Spotify songs. Open https://chrome.google.com/webstore/detail/spotify-✪-deezer-music-do/oefdcdmhklplgdmendjfnjeiijgcmabi?hl=en and click the ADD TO CHROME button. You will find a green icon on the top right corner of the interface. Click it and Spotify web player will be opened directly. Sign up or log in your Spotify account, you will find a green Download button on the right side of each song. Find the songs you want to download and then click the download button. It does work for some songs, but saying Audio not found or Failed - No file for many others. This is because Spotify Deezer Music Downloader downloads mp3 songs from multiple mp3 libraries instead of Spotify library. So you may not be able to download all songs you want. 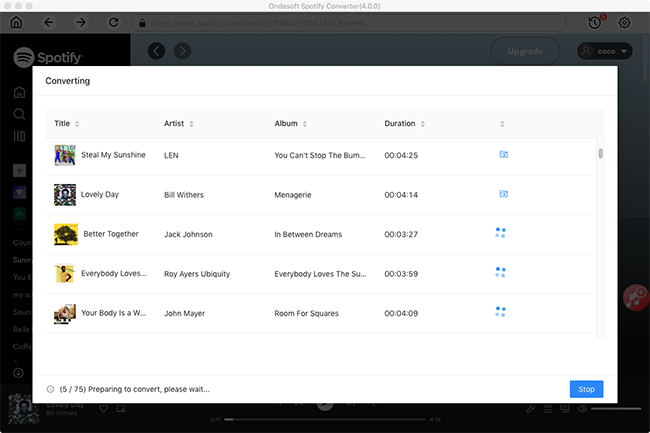 Unlike Spotify Deezer Music Downloader, Ondesoft Spotify music downloader allows you to download Spotify music directly from Spotify library and save them to MP3/M4A/WAV/FLAC at up to 320kbps. It can download any songs you want, as long as it's in the Spotify library. so that you can transfer and play the Spotify songs anywhere you want. This tutorial will show you how to download music from Spotify free account with Ondesoft Spotify Music Downloader. 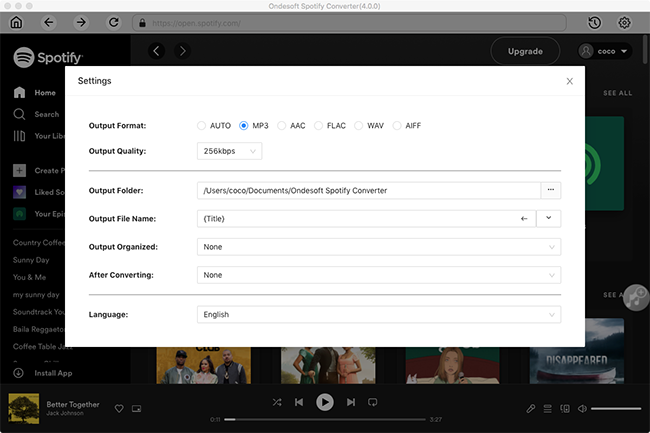 Step 1 Download, install and run Ondesoft Spotify Converter. 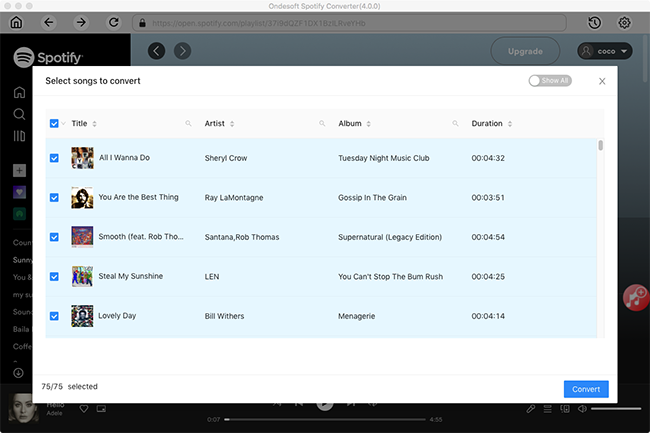 Run Ondesoft Spotify Converter, Spotify app will be launched automatically. 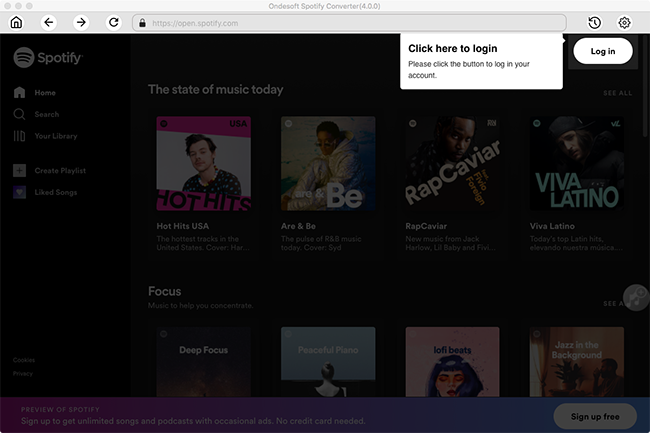 Drag&drop Spotify songs, playlists or albums you want to download from Spotify app to the interface directly. If you are using Spotify web player, click the Add Files button, copy&paste the link to the left bottom area. Then click the Add button to import all Spotify songs you’d like to download. Click the Options button to change the output folder, output format, bitrate or sample rate. The default output format is MP3. You can also select M4A,WAV and FLAC according to your needs. Click the Convert button to start downloading Spotify music to the format you choose. After downloading, click below folder icon to quickly locate the DRM-free Spotify songs. You can then transfer them to any device you like.